INDIAN OCEAN... has been shown on the BBC in the UK, is now being shown in Australia on SBS One, and is available to download on Itunes. May 2012: I'm finally on twitter. Tropic of Cancer has been released as a DVD boxset. It's available at a discount from Amazon here. 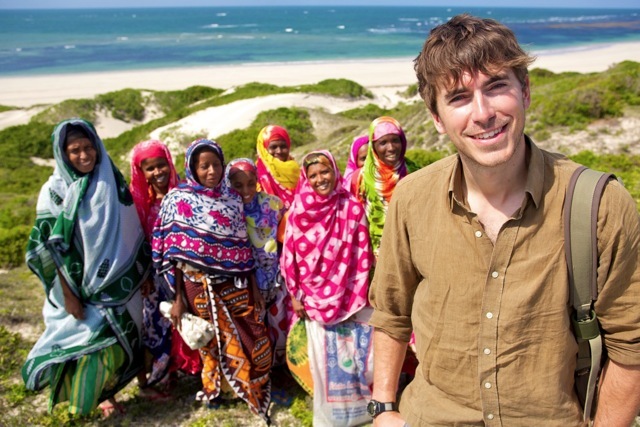 In his most exotic and extreme adventure yet, Simon Reeve travels around the edge of the beautiful Indian Ocean in this forthcoming, epic new 6 x 1hr BBC2 TV series. Starting his journey in South Africa, Simon travels around the coast of the Indian Ocean, heading up the east coast of Africa, around India and back down the western coast of Indonesia to SW Australia. The extraordinary adventure takes Simon to 16 countries, as he braves the horrors of frontline conflict in Mogadishu in Somalia, perhaps the most dangerous place on the planet, and visits the beautiful Maldives, Mauritius and the Seychelles. On his journey Simon travels by boat, car, train and plane. He encounters pirates, dives with sharks, patrols with Dutch Special Forces, goes underwater spear-fishing, dines in an underwater restaurant, stumbles into a seedy drug-den, visits a 5-star seaside palace housing thousands of refugees, meets a Yorkshireman on his Seychelles island paradise, and has close encounters with the amazing wildlife of the Indian Ocean, including lemurs, penguins, dolphins, elephants and manta rays. Throughout the epic journey, Simon travels with his trademark enthusiasm, humour and curiosity, exploring parts of the world few other outsiders get to see. The Indian Ocean BBC film-crew who accompanied him have captured stunning images around the ocean from land, sea and air. At more than 6,000 miles wide, the Indian Ocean is the third largest on the planet. Vast quantities of oil and half of all global container traffic passes through it, making it strategically vital for the major world powers. At a time when our seas face extraordinary environmental threats and challenges, Simon’s new journey is a riveting travelogue that blends in history, adventure, current affairs, culture, wildlife, conservation, and offers unique insights into life on, in and around the glorious INDIAN OCEAN. “Travelling around the Indian Ocean was an extreme and extraordinary adventure that took me from the horrors of Mogadishu to the beauty of the Maldives. I went to some of the most incredible places on the planet and got my feet onto picture-postcard beaches I previously only imagined in my dreams. But the journey wasn’t just about sunny beaches. I’m really keen for viewers to understand more about the lives of people who live around the Indian Ocean, so the team and I delved into stories of poverty, conflict, drugs, smuggling, and piracy. We filmed amazing sights and dark issues, along with wildlife, history, current affairs and culture. It was fascinating to explore this incredible region, on a journey that showed me there’s so much more to the Indian Ocean than just gorgeous holiday islands. The Indian Ocean is a vast, stunning and tantalising area of our world” - said Simon. “In previous series, Equator, Tropic of Capricorn and Tropic of Cancer, our boyish presenter…has quartered the globe in search of stories about people and places, and how they interact. The result has been compelling and sometimes uncomfortable television, delivered with a winning mixture of Palinesque charm and the investigative instincts he honed as an author of hard-hitting books on terrorism. Pick of the Day. At the start you want to tousle his hair and give him sixpence, but by the close his journalism will have earned your respect. Recommended. In an extraordinary encounter Simon accompanies local fishermen as they land a huge bull shark in their tiny boat. 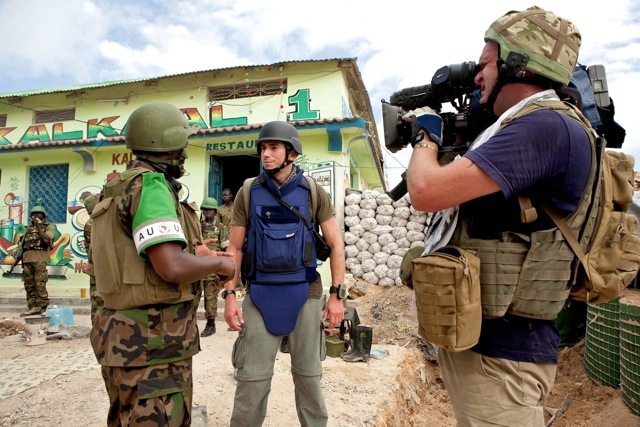 In war torn Mogadishu Simon travels with Ugandan soldiers from the African peace keeping force AMISOM. Simon snorkels and free-dives with dozens of manta rays, some of the largest and most graceful fish in the Indian Ocean. 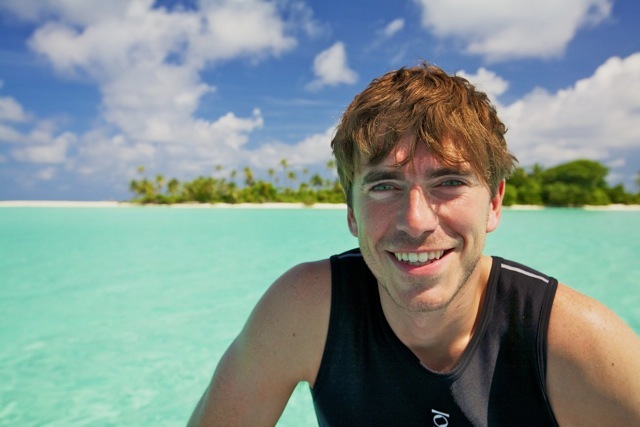 Simon joins a group of fishermen catching tuna in the Maldives.